Paul Morrison from Morrison Agri has been delivering proven results to farmers throughout the Mid Canterbury region for the last 14 years. Paul began his company to provide dairy farmers in the Ashburton area everything from new milking machine installs, repairs and maintenance, through to supplying a full range of day-to-day milking machine products. Over the years Paul has grown his team to provide a reliable and experienced service to his customers. The team at Morrison Agri are preferred installers for Waikato Milking Systems. 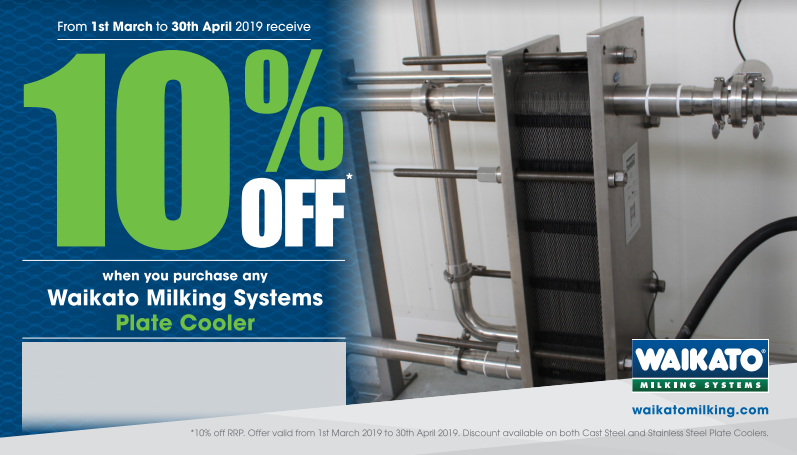 Waikato Milking Systems is a leading designer and manufacturer of dairy technology. Our products are known for delivering results for farmers while being exceptionally easy to use. The experienced team at Morrison Agri provides more than a 24 hour emergency call out service. We are Dairy Shed Specialists and provide a value added maintenance program that will ensure maximum efficiency for production. Our team understands how important it is for all your equipment to run smoothly and we can partner with you to support your dairy operation.